A Newcastle-based branding agency has announced the launch of a new business community and service for brand owners and marketing professionals in the city. Precept is working to help transform the St. Peters Marina area into a focal point for enterprise with The Brand Society – a new co-operative service housed within a recently renovated space alongside its design studio. The firm has hired five new staff on the back of the launch, taking its headcount to 18. Located at St. Peter’s Wharf, The Brand Society is open to both Precept clients and non-clients and offers co-working space, events facilities and kit hire to support marketing activities. The new venture will also host regular events to share knowledge and insights in brand design and related disciplines. 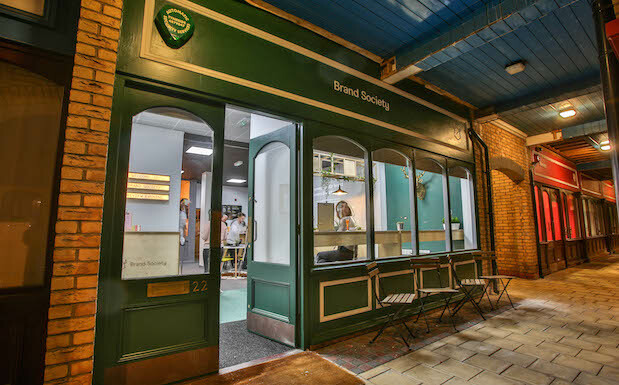 Facilities at The Brand Society include a multi-functional shared workspace with a bar and kitchen, and a ‘speakeasy’ room for more informal discussion. Precept is based across office in Newcastle and London. Founder Nick Johnson said: “With projects like the £100m Whey Eye development planned nearby and the city coming top as the best place in the UK to work in a recent survey, it’s an incredibly exciting time to live and work in Newcastle. In recent years, Precept has worked to help St. Peter’s Neighbourhood Association, an organisation representing businesses and residents in the area, enhance and promote the riverside neighbourhood. Local businessman Robert Mee, secretary of the St Peter’s Neighbourhood Association, said: “For centuries St. Peter’s was the hub of commerce and ship-building on Tyneside and today is still home to successful engineering and professional services firms.